Public initiatives should strengthen the still important transportation-land use connection. 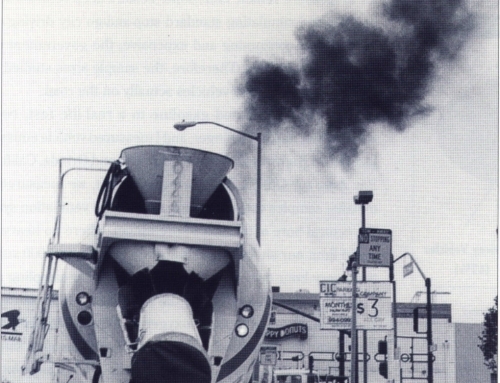 In the Spring 1995 issue of ACCESS, Genevieve Giuliano contends there is a weakening connection between’ urban land uses and transportation. She therefore finds little justification for public initiatives such as programs to balance jobs and housing and investments in rail transit. She argues that because urban areas in the United States are already so accessible, settlement patterns so well-established, and maintenance of privacy so important, transportation plays an ever-decreasing role in the locational decisions of households and businesses. Her essay infers that the land use-transportation connection is now too weak to matter in terms of public policy. Giuliano concludes that policies designed to reduce the negative externalities of automobile travel by altering land use patterns are doomed to fail. Similarly ineffective, she argues, are policies that seek to reshape America’s urban landscape through transport investments, especially rail transit projects. Pricing and market-based strategies, she contends, are more appropriate mechanisms for dealing with today’s transportation problems. While we accept some of Giuliano’s arguments, we disagree with her conclusions, especially the suggestion that we should abandon coordinated land use and transportation policymaking altogether. We believe the land use-transportation connection still matters. While the connection is undoubtedly much weaker today than it was a century ago, or even within the past three decades, the relationship remains important. Investments in transportation systems still strongly affect land use patterns, urban densities, and housing prices. Although new transportation investments no longer shape urban form by themselves, they still play an important role in channeling growth and determining the spatial extent of metropolitan regions by acting in combination with policies such as supportive zoning and government-assisted land assembly. Likewise, there remains strong evidence that characteristics of built environments such as the size and diversity of neighborhoods and the siting of jobs and housing-significantly influence travel demand. Policies that expand travel choices can be important complements to policies that expand housing and job choices. And if the market-based transport pricing that Giuliano and most economists embrace were ever implemented, the consequence would be an even stronger land use-transportation connection. Much recent research supports the land use-transportation connection, highlighting some of its subtle complexities. Further, these studies expose the vital role for public policy in shaping that connection. The context for our research is the San Francisco Bay Area, while Giuliano’s work focused on Southern California. We offer these comments in hopes of stimulating further research and discussion on the transportation-land use relationship. 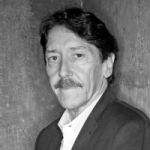 Giuliano makes a compelling case for a weakening linkage between land use and transportation. She first challenges the very foundation of urban land economics: the premise that cities are shaped by people economizing on commuting. She does so by reviewing the “excess commuting” literature, which shows that actual average commutes in U.S. cities are much longer than predicted by standard models. The studies Giuliano cites, however, are based on certain assumptions-such as one wage-earner and uniform transportation costs-that bear little resemblance to today’s world. Giuliano contends the main reason for much longer average commutes is choice (for example, people may want privacy and better schools), not force (for example, workers may get displaced from their work location by expensive housing or jobs-housing mismatch). We do not find it surprising that Southern Californians stress tranquility more than transportation when discussing qualities of a desirable neighborhood. However, we wouldn’t base inferences about the major determinants of residential location on the results of a stated-preference survey conducted for the Los Angeles Times. In a distorted marketplace like Southern California, commuters don’t pay for externalities like air pollution or congestion through higher motoring fees. It’s therefore no surprise that many prefer the exurbs, voting with their feet and commuting with their wheels. Might not programs promoting more affordable housing near job centers, along with fuel prices of $3 per gallon (the cost in Europe) and minimum $3 per day employee parking fees, result in many more folks living closer to their workplaces? In such an environment, the “actual” and “predicted” commutes cited by Giuliano would undoubtedly be much closer, and the spatial proximity of jobs and housing far stronger determinants of commuting behavior. Giuliano’s view of the minuscule role of transit investments on urban form hinges largely on the outputs of regional forecasting models for one unbuilt project, the western light rail extension in Portland (part of the LUTRAQ study), and one project still in its infancy, Los Angeles’s Metrorail system. We put less faith in conclusions gleaned from large-scale models on how rail affects land use patterns than does Giuliano. This field is littered with examples of inaccurate projections due to reasons that are all too well-known. Our findings are drawn from empirical evidence on how rail affects land use and housing from twenty years of experience with BART and about a decade’s experience with other California rail systems. Contrary to Giuliano’s contentions, the LUTRAQ projections show that transit-oriented development (TOD) reduces the share of auto travel for all trips more than transportation demand management (TDM) strategies. (Giuliano’s comment regarding Table 4 in her essay pertains only to home-based work trips.) TOD should be examined relative to all trips, not just commutes, since initiatives like siting stores in compact neighborhoods will exert more influence on shopping trips than work trips. We believe the projected decline in auto use that occurs most significantly in the LUTRAQ II scenario, which combines land use and TDM initiatives, is an important finding. It suggests that synergistic relationships exist and underscores the need to package land use initiatives with other programs like restricted parking. Recently, Cambridge Systematics studied how land use patterns and TDM have combined to affect commuting to large employers in Southern California after the enaction of Regulation XV, which mandated trip reductions. In their 1994 report, The Effects of Land Use and Travel Demand Management Strategies on Commuting Behavior, they concluded that TDM and land use initiatives complement each other. Workplaces with on-site convenience stores and ambitious TDM programs like ridesharing, realized significantly greater reductions in drive-alone auto commuting than did single-use office projects. We offer these remarks not to take a position for or against investments in light rail in Portland or heavy rail in Los Angeles. These projects cannot be judged solely on economic criteria because much of their motivation is political. The prospect of transferring billions of federal tax dollars to Southern California’s struggling economy no doubt convinced many local politicians to move ahead with Metrorail. Should we turn our back on Metrorail and continue to acquiesce to auto-oriented development just because these multi-billion-dollar investment decisions were not economically prudent? Or should we accept the fact that many large-scale public works projects in the United States, whether they create rural dams or expensive metros, are partly driven by pork-barrel politics, and try to capitalize on these investments by promoting transit-oriented development? We vote for the latter, if for no other reason than to exploit these sunk investments and give more people more choices on where to live and how to travel. For every study showing that jobs-housing balance doesn’t matter, there are at least as many showing it does. For example, some researchers have long argued that in an unfettered marketplace, businesses and households co-locate to reduce commuting. Thus, they contend, planning initiatives like policies promoting jobs-housing balance are unnecessary and even counterproductive. Peter Gordon and Harry Richardson first made this argument based on a study that found average commuting times fell for eighteen of twenty large U.S. cities between 1980 to 1985. But these data, from the American Housing Survey, predated much of the suburban employment boom of the mid-to-late 1980s. More recent data paint a much different portrait of trends: In the wake of rapid job decentralization, Americans are living and working farther apart today than ever before. The National Personal Transportation Survey showed the average commute length in the United States increased from 9.2 miles in 1983 to 10.6 miles in 1990. The number of women entering the labor force in the 1980s rose rapidly and, on average, they commuted shorter distances than men. This means that work trips by men lengthened even more. Moreover, census data reveal that mean journey-to-work times increased from 1980 to 1990 in thirty-five of the thirty-nine U.S. metropolitan areas with populations over one million. Three of the four metropolitan areas experiencing the greatest increases in commute durations were in California: metropolitan San Diego (19.5 to 22.2 minutes: + 13. 7 percent), Los Angeles-Long Beach (23.6 to 26.4 minutes: + 11.9 percent), and Sacramento (19.5 to 21.8 minutes: +11.8 percent). Recent research makes an even stronger case for public policies that encourage balanced growth in jobs and housing. In a study of 1989 travel in the greater Seattle-Tacoma region, Lawrence Frank and Gary Pivo found that commute distances and times tended to be shorter for those living in balanced areas. The average distance of work trips ending in balanced census tracts (with jobs-to-household ratios of 0.8 to 1.2) was twenty-nine percent shorter (6.9 versus 9.6 miles) than the distance of trips ending in unbalanced tracts. A recent study by Reid Ewing, titled “Before We Write Off Jobs-Housing Balance …,” used 1990 census data to compute the proportion of work trips that stay within city boundaries for 500 cities and towns in Florida. Ewing found that the share of “internal,” or within-community, commuting significantly increased with greater balance in the number of local jobs and working residents. Our recent work largely substantiates the findings from Seattle and Florida. The 1990 census data for the twenty-three largest cities in the San Francisco Bay Area reveal that cities with high shares of residents working in the community averaged shorter commutes, and more often commuted by non-auto modes. Cities with high housing prices (relative to earnings) also tended to have a proportionally large share of their workers residing elsewhere. In a distorted marketplace like Southern California, commuters don’t pay for externalities like air pollution or congestion through higher motoring fees. It’s therefor no surprise that many prefer the exurbs, voting with their feet and commuting with their wheels. The city of Pleasanton, thirty-five miles east of San Francisco, experienced the fastest employment growth in the region (365 percent increase) during the 1980s, changing from a predominantly bedroom community in 1980 Gobs-to-employed residents ratio of .42) to a job-rich city in 1990 (ratio of 1.13). Paralleling this trend, commute distances have rapidly increased among Pleasanton’s workforce. The average person working in Pleasanton commuted 18.8 miles in 1993, considerably above the Bay Area’s average of 14.4 miles. Based on a gravity model designed to predict factors influencing the residential location of Pleasanton’s workforce, we found that workers generally avoided living in cities with high housing prices, controlling for housing supply and distance from Pleasanton. That is, the jobs-housing mismatch mattered. Critics have sometimes mistated the jobs-housing balance argument. Imbalances are rooted in fiscal zoning (shunning housing in favor of office, shops, and other high tax-yielding uses) and NIMBYism (the “not in my backyard” attitude that assumes more housing equates to more traffic and crowded schools). Policies supporting jobs-housing balance attempt to break down these barriers to residential mobility, not to mandate where people live and where businesses locate. In the Bay Area, while all bedroom communities in 1980 became more balanced by 1990 (supporting the co-location hypothesis), nearly all job-rich cities in 1980 became even more job-rich, or imbalanced, by 1990 (supporting the fiscal zoning and NIMBYism hypotheses). In the late 1980s, developers of the Hacienda Business Park in Pleasanton were prohibited from building over 2,000 housing units, including moderately dense apartments, on their 860-acre property (worksite of over 11,000 employees) because of a NIMBY backlash by long-time residents. In Baltimore County, Maryland, developers have recently filed a lawsuit against a zoning change preventing them from building some 1,500 townhouses and garden apartments near the Hunt Valley employment center (where there are currently three jobs for every housing unit within a five-mile radius). Perhaps the term “jobs-housing imbalance,” by itself, is a misnomer. Problems occur when job-rich communities keep out housing for parochial reasons, to the detriment of the region at large. When developers are prevented from building housing near work centers for the local workforce, as in Pleasanton and Hunt Valley, we believe there are grounds for policy intervention of some kind-to correct the planning, not market, failure. Giuliano contends transportation investments cannot effectively shape urban form because America’s cities are already built-up, the building stock is durable, and transportation has a diminished influence on locational decisions. If so, land markets should reveal this weak connection. That is, if the higher levels of accessibility provided by transportation investments don’t matter much, rents and land values for nearby properties should remain unaffected. Most empirical work on this topic focuses on the property value effects of highway construction. Recent studies in Washington state and Phoenix report net positive property value effects associated with locating near new highways, but also show that for the closest homes, accessibility premiums are offset by noise-related price reductions. Studies of how proximity to urban transit affects property values have produced wildly divergent estimates. A study of repeated home sales found that the announcement of the Miami metrorail system only weakly affected prices. At the other extreme, another recent study estimated that single-family homes located within 500 meters of stations on Portland’s light rail line sold at a premium of $4,300 (over ten percent) when compared with otherwise similar homes beyond that distance. To our knowledge, no single study has examined the combined price effects of highways and transit. To help fill this gap, we analyzed the effects of nearby transit lines and highway interchanges on the 1990 sales prices of 4,180 homes in Alameda, Contra Costa, Sacramento, San Diego, San Mateo, and Santa Clara counties. In Alameda and Contra Costa counties, we examined the potential price effects of BART; in San Mateo, we looked at the effects of the CalTrain commuter rail line; and in San Diego, Sacramento, and San Jose, we considered the price effects of proximity to light-rail stations. We statistically controlled for home size and age, lot size, neighborhood income levels, homeownership rates, and racial composition. The strongest capitalization effects were found for proximity to BART and San Diego’s light rail system. In the case of freeway accessibility (measured as street distance to the nearest interchange), the opposite effect was observed. In Alameda County, for every meter a home was closer to a freeway, its sales price declined $2.80. Thus our research shows that proximity to rail transit is indeed capitalized into home prices, but not universally. The most important factor is the quality and scope of service. Regional systems like BART, which provide reliable and frequent service over a large market area, generate the largest price premium. San Diego’s trolley also falls in this category. Systems with more limited services and market areas, such as the CalTrain commuter line and newer light rail lines in Sacramento and San Jose, are less likely to generate appreciable capitalization benefits. Overall, the premiums associated with building higher density housing near transit stops are not likely to be large enough to overcome local opposition to such development. While transit matters to housing prices in many locations, it may not matter enough. This suggests a potential role for local, transit-supportive land use policies. 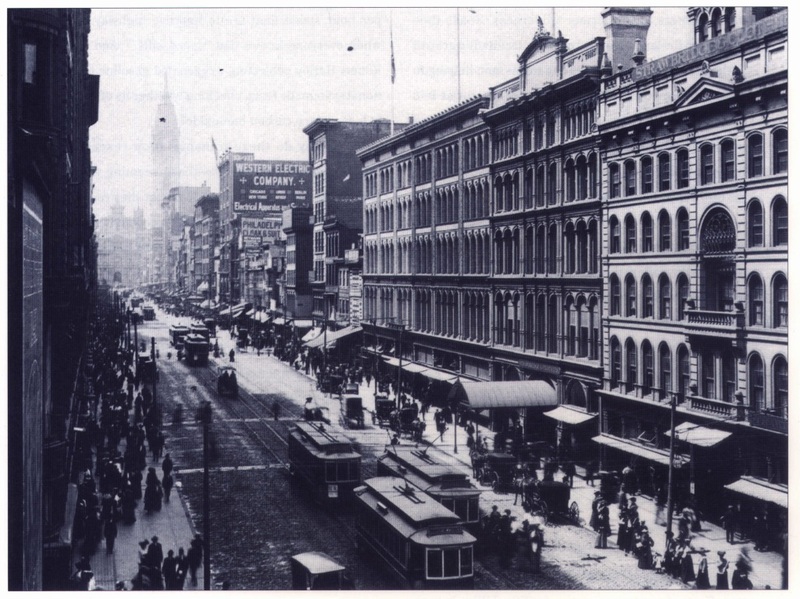 From the horse-drawn streetcars of the 19th century, to the electric trolleys of the early 1900s, to the superhighways of the post-World War II era, transportation investments have channeled growth and shaped America’s urban landscapes. When first conceived, BART was to follow this tradition. The 1956 planning document, Regional Rapid Transit, called upon BART to transform the Bay Area into a “subcentered metropolis” – “something between the tightly nucleated clusters that form the typical metropolitan areas of the East Coast and the vast low-density sprawl of the West Coast’s Los Angeles.” As part of the twenty-year update to the original BART Impact Study, we recently evaluated BART’s longer term influence on urban form and land use patterns. For the most part, BART has fulfilled its promise. BART has without question helped create and strengthen the Bay Area’s multi-centered form. 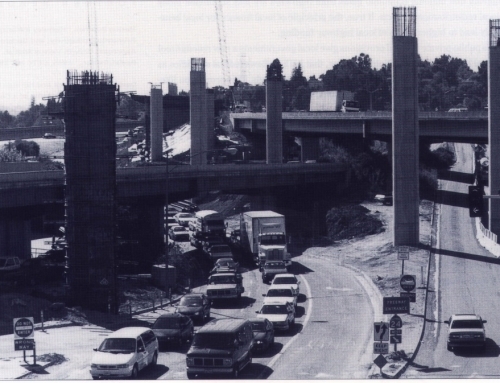 One analysis compared the effects of proximity to BART stations and freeway interchanges on all land use changes (measured at a hectare grid-cell level) that occurred in Alameda and Contra Costa counties between 1985 and 1990, a period of accelerated land development in both counties. Using statistical models that controlled for topographical constraints, zoning policies, adjacent land uses, and development opportunities, we found that proximity to BART had a particularly strong influence on the likelihood of sites being redeveloped. All else being equal, residential sites near BART stations in both counties were far more likely to be converted to commercial or industrial uses than were more distant residential sites. Highway access, by contrast, had little effect on redevelopment activity. Another study used shift-share analysis to measure employment growth differentials between the thirty-five zipcodes with BART stations and the remaining 117 zipcodes without stations in the three BART-served counties. The BART zipcodes gained 139,400 jobs from 1981 to 1990, growing by 30.3 percent and accounting for 57.1 percent of the employment growth in the three counties. Most of the BART-oriented job growth occurred in downtown San Francisco, suggesting that BART helped slow the exodus of jobs from the region’s employment hub despite national trends toward office decentralization. Outside downtown San Francisco, job growth and land use changes around BART stations have been uneven. Where little new growth has occurred, the chief reasons have been either downzoning and NIMBY resistance (for example, at the Rockridge and North Berkeley stations) or weak local real estate markets (for example, at the Richmond and Fruitvale stations). Where these barriers do not exist, a sizable amount of new development has generally occurred when local governments encourage it, through initiatives that assist with land assembly and finance supportive infrastructure like streets and sidewalks. Pleasant Hill station, over 1,800 apartments and condominium units were built within a quarter mile from 1988 to 1993. Many tenants consciously elected to move into this housing to economize on commuting. Surveys show one-half of employed tenants living in these units work in downtown San Francisco or Oakland, compared to a city-wide average of just 10 percent. Further, surveys show that 47 percent of employed tenants of these project commute via BART, compared to 16 percent of all Pleasant Hill employed residents. 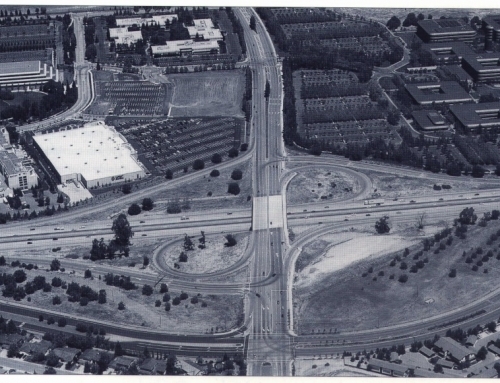 While BART probably didn’t have much influence on the number of the jobs that ended up along the Walnut Creek-to Concord axis, it unquestionably had a strong influence on the built form that emerged-concentrated, mixed-use development that is conducive to transit riding. The presence of BART itself has not necessarily been sufficient to bring about land use changes, but under the right circumstances, it can be an important contributor. We conclude that the land use-transportation connection still matters because there remains considerable elasticity in the relationship – both factors continue to influence each other. By themselves, land use initiatives such as jobs-housing balance or transit-supportive development are not panaceas for today’s congestion, air quality, or social equity problems. But neither are road expansions, tollways, ridesharing, or a host of other TDM measures. Individually, each of these options exerts only a marginal influence on regional traffic or environmental conditions. Part of the reason almost any policy strategy, including land use initiatives, has only a modest effect on regional travel and the environment is that the price signals passed on to motorists and parkers are far, far stronger, and thus swamp the influences of other measures. We must keep in mind that evaluations of how land use environments affect travel demand are being made in a distorted marketplace of cheap automobile travel, where motorists don’t pay for externalities. It is no surprise that transportation-land use outcomes have been suboptimal in a world of suboptimal pricing. This, we argue, is not an indictment of the land use-transportation connection, but rather an indictment of current policies for pricing and managing our transportation and land resources. We generally concur with Giuliano’s observations that proper pricing-such as congestion fees and mandatory parking fees – would likely eliminate the need for public interventions like jobs-housing balance and transit-oriented development. People would move closer to jobs and transit stops to economize on travel. Yet, true market pricing of transportation might be even more unattainable than strengthening transportation-land use linkages in a pluralistic, democratic society like ours. So far, the only places with even a cursory form of road pricing are ruled by heavy-handed centralized planning doctrine (Singapore) are sparsely populated, culturally homogenous countries (Norway). Martin Wachs, Chairman of the Transportation Research Board Committee on Congestion Pricing, concluded in the Spring 1994 issue of ACCESS that except for “professors of transportation economics and planning-who hardly constitute a potent political force – I can think of few interest groups that would willingly and vigorously fight for the concept…” In the absence of true market-based pricing of transportation, public initiatives that help strengthen the land use-transportation connection are, we believe, among the next best things. Cambridge Systematics, Inc., The Effects of Land Use and Travel Demand Management Strategies on Commuting Behavior (Cambridge, Massachusetts: U.S. Department of Transportation, Federal Highway Administration, 1994). Robert Cervera, BART @ 20: Land Use and Development Impacts (Berkeley: Institute of Urban and Regional Development, Monograph 49, 1995). Reid Ewing, Best Development Practices: Doing the Right Thing and Making Money at the Same Time (Chicago: American Planning Association, 1995). Lawrence Frank and Gary Pivo, Relationships Between Land Use and Travel Behavior In the Puget Sound Region (Seattle: Washington State Transportation Center, 1994). Peter Gordon and Harry Richardson, “The Commuting Paradox: Evidence from the Top Twenty,” Journal of the American Planning Association, Vol. 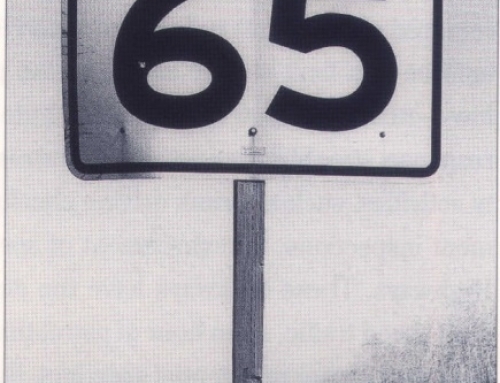 57, No. 4, 1991, pp. 416-420. 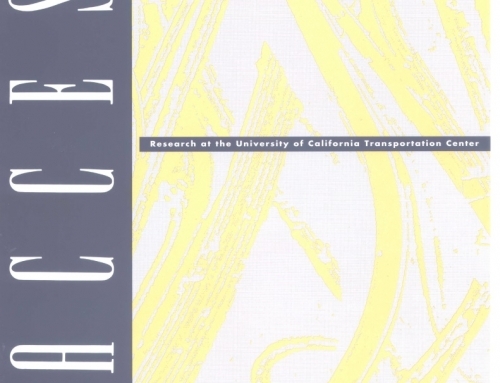 John Landis, Subhrajit Guhathakurta, William Huang, and Ming Zhang, Rail Transit Investments, Real Estate Values, and Land Use Change: A Comparative Analysis of Five California Rail Transit Systems (Berkeley: Institute of Urban and Regional Development, Monograph 48, 1995). John Landis and Bruce Fukuji, BART and Bay Area Job Growth (Berkeley: Institute of Urban and Regional Development, forthcoming working paper). Michael Rosetti and Barbara Eversole, Journey to Work Trends In the United States and Its Major Metropolitan Areas (Cambridge, Massachusetts: John A. Volpe National Transportation Systems Center, 1993).